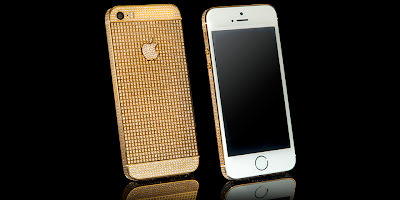 Today I would like to share with you some interesting information which has been informed by my office mate this afternoon regarding an Iphone 5s made by 24 carat gold and other materials. At first, I didn’t believe it as I told him that Iphone 5s comes with a Gold version model but not the original gold, however he told me that there is a company called Goldgenie who sells Iphone 5S plated with a 24Carat gold and other expensive materials. You can google it here for details. 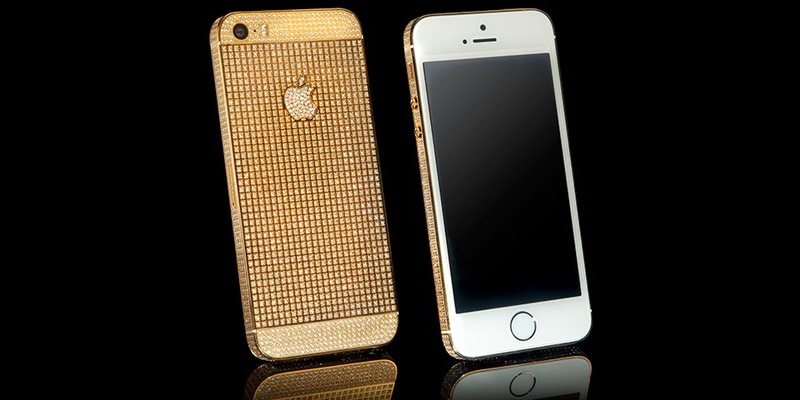 Iphone 5s Swarovski Style Elite Bezel Top and Bottom and Apple logo in Gold and Platinum edition. These are some of the pictures that I manage to obtained. 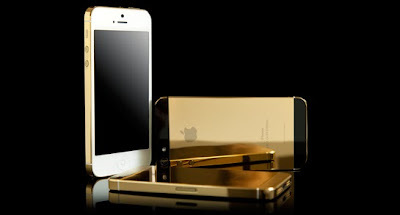 You can search it on the internet to find the other Gold Iphone 5s collections. Every purchased of the Goldgenie Iphone 5s will come with Goldgenie Cherry Oak Finished Box. The box looks very exclusive! Besides Iphone, Goldgenie also Gold plated several phone models like Blackberry, HTC and Samsung S4 to name a few. Furthermore, celebrity clients like Denzel Washington, Will Smith, Elton John and Frank Lampard are among Goldgenie customers. The price? Well…. It’s very expensive, somebody is selling in Low Yat Forum for RM10,000.00 but I am not sure for which collection. If I can afford it, I will definitely purchase 1 and just keep it for my collection.